1. Ask Pharmaceutical and Medical Device Reps If They Know Physicians Looking to Hire: While this advice may seem obvious at first, specialty-specific pharmaceutical and medical device representatives are an incredible resource when it comes to building a professional career network. Reps visit and interact with scores of hospitals and practices in your specialty on a daily basis, so they are often privy to information (like job openings) long before the positions are listed publicly. They also have an insider’s perspective on the personalities of physicians, and the culture and dynamics of the medical practices they serve. 2. Attend (Large and Small) Medical Events in Your Area: Whether it’s a gala dinner for a hospital, a local conference for your particular field, a specialty division event at a hospital, a new practice opening party, or an intimate holiday party for a private practice, going to local social events where doctors will be relaxed and accessible can open a lot of doors. The path to new positions is never what we expect it to be, so who’s to say the path to your dream job couldn’t start at a friend-of-a-friend’s office Christmas party? 3. Attend Residency or Fellowship Networking Events at Specialty Conferences: If you are looking for a job in the same city where you did your training, your former residency and fellowship programs will have get-togethers locally or across the country at national specialty conferences where you can link up with former attendings and colleagues who have personal connections with employers in the community or in academia. Don’t miss these events when signing up for your annual specialty conferences. 4. Ask Well-Connected Doctors in the Community to Introduce You to Potential Employers: Don’t be afraid to reach out to established, well-connected, and respected doctors in the local community who could introduce you to potential employers. In all likelihood, these successful doctors were in a similar situation earlier in their careers, so they will be more than happy to help. Just make sure to pay it forward whether or not you land a job through them (send them patient referrals, share their posts on social media, send them gifts etc) for going out of their way for you. 5. Visit In-House Physician Recruiters Where You Would Like to Work: Many hospitals, large practices, and healthcare groups have been known to hire in-house recruiters—a team whose sole responsibility is to find the very best physician talent to serve their facility’s patients. But that doesn’t mean that serious talent doesn’t still get overlooked from time to time. To prevent this, consider stopping by an in-house recruiter’s office for a short introduction or informational interview. Sending a resume makes a certain impression, but personally hand-delivering a resume makes quite another. 6. Get Active on Facebook Groups and Pages: More than a dependable source for hilarious medical memes and the latest medical news briefs, private physician-only Facebook groups are an excellent way to connect with active members of the local and national medical community. There are groups for physician moms, local groups for doctors in particular cities, specialty groups, residency alumni groups, physician job groups, and more. It’s also not uncommon for specific hospitals or practices to have dedicated Facebook pages. So following the corresponding page of your ideal position could provide unique insights into the work environment and culture, giving you a real advantage in an interview. And while it’s always better to network in-person, making connections over social media is the next best thing. 7. Link Up with Your Favorite Employers on LinkedIn and “Like” or “Comment” on Their Posts: Everyone has their own distinct approach to using LinkedIn—one of the best platforms to professionally market yourself online. For those who spend a lot of time on LinkedIn, a single “Like” or “Comment” may seem inconsequential in the grand scheme of securing employment. However, even the smallest virtual action can have substantial ramifications in the real world. People (even hi-level CEO’s, Division Chiefs, and Attendings) do pay attention to who takes the time to interact with their posts, especially if you interact positively and consistently. Not only does expressing approval of a potential employer’s posts show that you have a genuine interest in them, it can create a positive, memorable association for a selection committee member, setting your name apart from the other applicants for their positions. Even if you lack innate charm, charisma, wit, or an extroverted disposition, you can network your way to a superb new physician job provided you have strong credentials. By strategically positioning yourself to be in the right place at the right time with future employers at events and on social media, you will open new doors. Occasionally, failure is a part of this learning process, but that shouldn’t discourage you in your search for a new opportunity. Employers appreciate candidates who are willing to feel uncomfortable or awkward in a social setting, because that demonstrates how motivated you are to get the job. 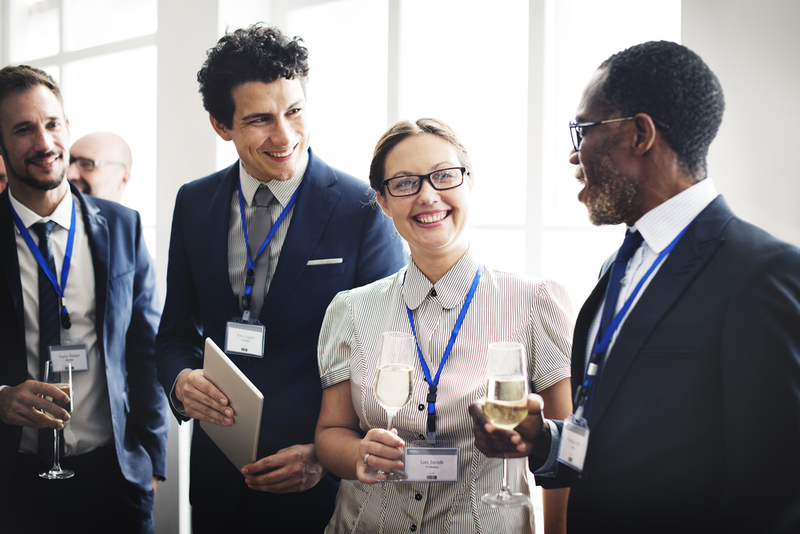 Not all networking strategies may work for you, but figuring out which ones work the best will aid you through every stage of your career. And don’t forget that to maximize your success of getting the best job as quickly as possible, networking should be used in conjunction with browsing a top physician job board to see what positions in your specialty need to be filled immediately. DoctorCPR Physician Group–DoctorCPR is America’s #1 Site for Physician Jobs and Practice Resources. Sign Up with Us Today! This entry was posted in Advice for Doctors, Female Physician Jobs, Networking Advice for Doctors, Physician Job Search, Physician Jobs and tagged advice for physicians on finding jobs, best physician job board, doctor jobs, find a doctor job, find a physician job, get a physician job, how to get the best physician job, job search for physicians, networking advice for physicians, networking for doctors, Networking for Physicians, networking to find physician jobs, physician job search, physician jobs, top physician job board, where to find the best physician jobs by Drpost. Bookmark the permalink. Experience and friendships in the medical community are guaranteed to help you find a good job.